Sweet! As in sweet pure air, formaldehyde-free created in your own home by this Andrea Air Purifier, as seen in the Chicago Tribune. I have seen a few of these plant-based air purifiers on the blog circuit but has anyone had any practical experience with them? It'll only set you back $200 buckers, according to Amazon. Well heck. I might just open a window. The manufacturer says the system works faster than a plant alone and is more efficient than HEPA and carbon filters at filtering formaldehyde. 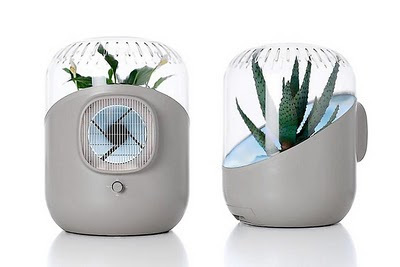 And it looks a tad like a terrarium — which makes it more fun than your standard plastic-box air purifier. This is really a great post. Plant-based Air Purifier system works faster than a plant alone and is more efficient than HEPA and carbon filters at filtering formaldehyde. 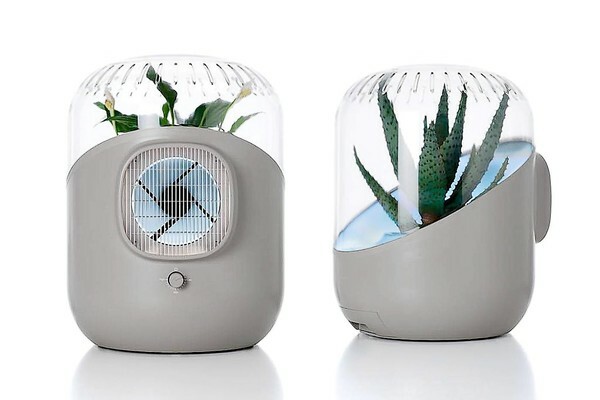 And it looks a tad like a terrarium — which makes it more fun than your standard plastic-box air purifier. Thanks for sharing the post.